Help us share this special and important event! Right click and download to use on your website or emails! Link to: www.organicfest.org. Thanks so much. 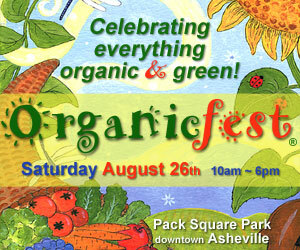 We look forward to seeing YOU at Asheville's Organicfest celebration!